The text is technically precise but at the same time accessible, and is carried forward by numerous examples. 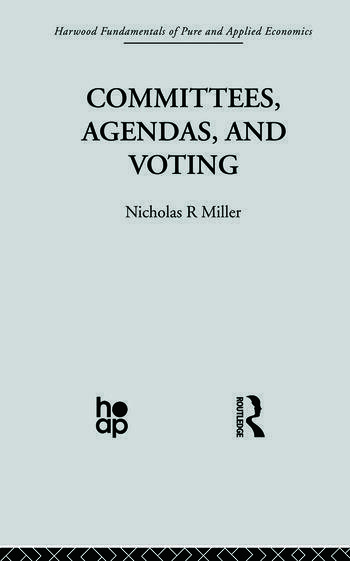 The chapters focus on vote counting rules, voting agendas, voter preferences, sincere and sophisticated voting strategies, solution sets, voting outcomes, agendas control, and agenda formation. The author himself has made prior research contributions to a number of these topics.